(Natural News) Fisheries and marine aquaculture have long been an important aspect of Norway’s economy — one that the country plans on expanding in the coming decades. To attain that goal, more feed is required to nourish the nation’s farmed fish. Microalgae already constitute an important component of fish feed, but some scientists believe that these microorganisms should be their own kind of fish feed. “Much of the fish feed is produced on land and contains too little of the beneficial fatty acids,” explained Jorunn Skjermo, senior research scientist at SINTEF. Most fish feeds contain soya, which needs to be imported from overseas, making this ingredient pricey and unsustainable in the long term. Microalgae, on the other hand, can be cultivated in the country for a fraction of the cost of soya. This is on top of microalgae being high in fat and more nutritious for fish. “With a larger proportion of algae in the feed, its nutrient value will be enhanced and the fish will be able to feed on natural and healthy food,” Skjermo added. Skjermo and her colleagues have already begun test production of microalgae. As part of their efforts to cultivate algae and plankton viable in the biomarine industry, SINTEF has partnered with a biogas facility located in the county of Nord-Trøndelag. “The wastewater we used for the initial experiments was strongly discolored, and this caused problems for microalgae production. We are now testing water produced by a different stage of the process at Skogn, which contains less of the discoloring substances. We hope that this will make production much easier,” stated Matilde Skogen Chauton, senior research scientist at SINTEF Ocean. While microalgae feed the fish of Norway, seaweed can be used to improve their living conditions. SINTEF has collaborated with the Norwegian University of Science and Technology to run the Norwegian Centre for Plankton Technology, an institute dedicated to enhancing the production, harvesting, and processing of microalgae, macroalgae, and zooplankton. Scientists from the Technical University of Denmark’s National Food Institute have identified two species of microalgae that would make for ideal fishmeal. The two species (Chlorella pyrenoidosa and Nannochloropsis salina) were found to have high concentrations of protein and omega-3 fatty acids, key nutrients for optimal fish health. 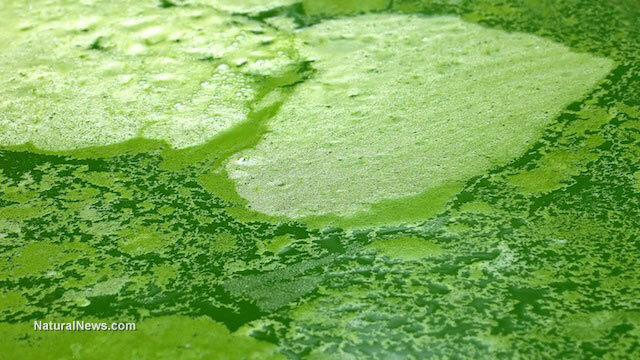 The scientists involved in this project have bettered the microalgae by growing them in toxin-free industrial process water, then utilizing a drying process that needs less energy than conventional spray drying techniques. Seaweed, on the other hand, can indeed be used to remove fish waste. One variety of seaweed known as Saccharina latissima can remove as much as 12 percent of the waste from salmon farms, including toxic materials like nitrogen phosphorus. Perhaps, in the future, microalgae and seaweed may become common in fish farms all over the world. After all, they offer so much and require little in return. To read up on more stories about the industrial applications of natural materials, simply go to Environ.news today.